If you’re age 65 or older, there’s a good chance that you’ve heard a bit about choosing a Medigap policy. There’s just one question that many people have: “What is a Medigap policy?” Fortunately the answer is much simpler than you might be expecting. 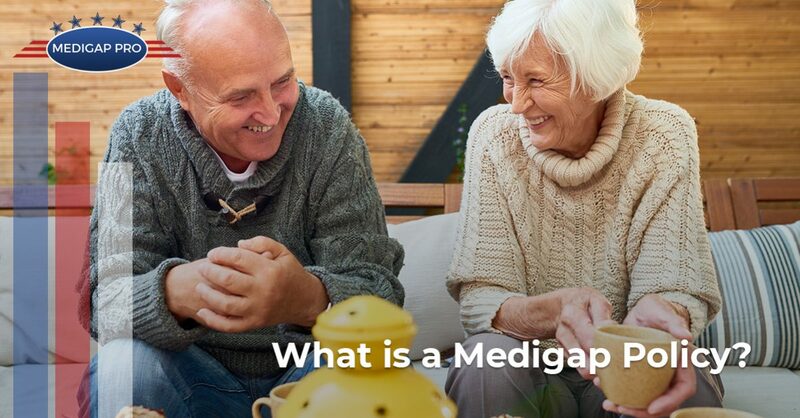 To put it simply, a Medigap insurance plan is just another word for a Medicare supplement insurance plan. While that might not necessarily make choosing one any easier for you, the good news is that the team at The Medigap Pro is here to lend a helping hand! If you are ready to compare Medicare supplement plans, we can help. Keep reading to learn more! Why Use a Medigap Policy? There are a number of upsides to utilizing a Medigap policy. For many, the fact that these policies mean standardized coverage across the entire United States makes a big difference. This is a big deal for those who do any amount of travelling. For example, if you enjoy heading somewhere warmer for the winter, this is a huge benefit. Another plus to using Medicare supplement insurance is the fact that you cannot be rejected for medical coverage for at least six months during the open enrollment period. The majority of states here in the U.S. even provide up to a year of hospitalization coverage as well. Finally, as long as you make your monthly payments, an insurance company can’t drop you. Downsides to Medicare supplement plans are few, but they are important to consider. Depending on certain circumstances, some of these plans can be rather expensive. If you’re trying to save cash, this can be a bit of a deterrent. Unfortunately, rates also increase annually and there is no coverage for some medications. The reality for many people out there is that because there are so many different aspects to consider, making a final decision can be a bit of a challenge. The good news is that Ted (also known as The Medigap Pro around these parts) has over 25 years of experience in health insurance. In other words, when you’re in need of someone who knows the ins and outs of Medigap insurance plans, Ted is the one to turn to. At the end of the day, our purpose from the very beginning has been to get our clients the best priced Medicare supplements–we promise! One of the things that makes us so unique is that Ted always asks the following question: “Knowing what I know based on all of my experience, what would I do if I were in your situation?” It’s that question that drives The Medigap Pro to help support people as they compare Medicare supplement plans. Have a question? Need some advice on what to do? Whatever the case may be, we would absolutely love the opportunity to help. Contact us today for superior expertise and superior service at every step of the way. We look forward to hearing from you!